Women and men give differently. Our rigorous research explores these differences, deepening our understanding of why, how, where, and when women give. 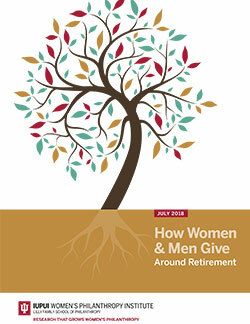 Our signature series, Women Give, is a compilation of annual research reports that explore unique questions about the factors that shape gender-based giving patterns – including age, religion, income, marital status, and more. 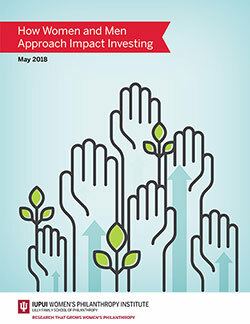 Fundraisers, advisors and philanthropists across sectors use this research to evolve their strategies and advance bold, transformative philanthropy. 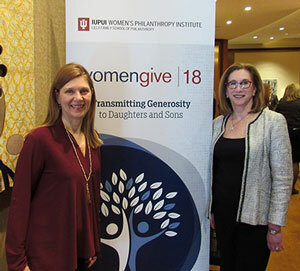 Who is philanthropic, and how do variables such as age, family dynamics, marital status, and income affect giving by men and women? Why do men and women give, and how do these motivations influence their giving? How do women and men give, for example on designated giving days or using collective giving? 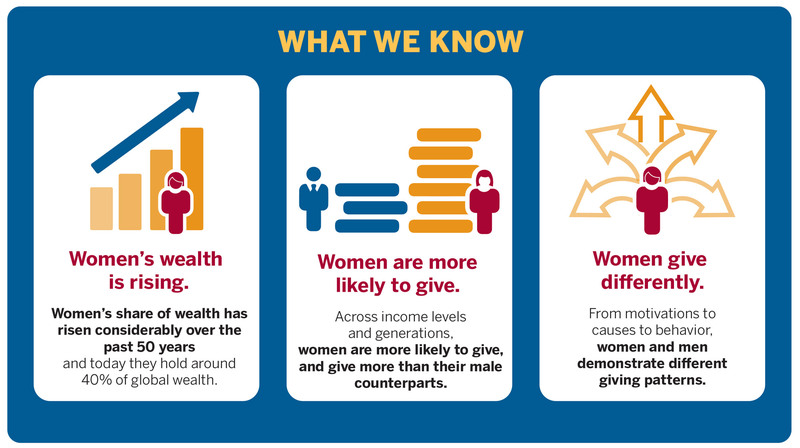 Where do women and men give, and how do certain factors affect the causes they support? What difference does giving make for women and men? Our rigorous research explores why, how, where, and when women give.